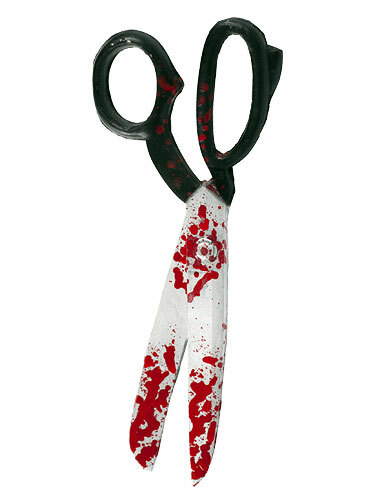 Our Bloody Scissors Prop will add detail to your bloody Halloween display and work nicely as a costume accessory. Crafted in foam filled latex, lightweight and perfectly safe. Scissors do not open. Bloody Scissors Prop measures 10"L x 3.5"W. Ages 14+.